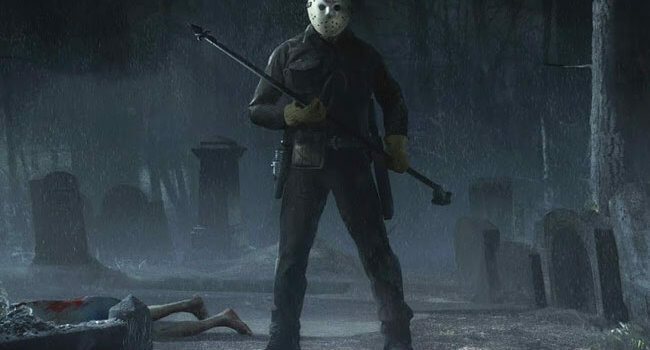 Jason Voorhees is the main antagonist of the Friday the 13th franchise and one of the 2 main antagonists of the crossover film Freddy vs. Jason, along with Freddy Krueger. He was a silent, undead and unstoppable killing machine. Jason was an iconic madman who haunts Camp Crystal Lake and the surrounding area, driven to slaughter anyone he encounters by a burning need to avenge the death of his beloved mother, Pamela Voorhees. Here he wears the burlap bag instead of his iconic hockey mask. Following Friday the 13th Part 2’s events, the next day on Saturday the 14th, 1984, Jason Voorhees having survived Ginny’s machete attack escaped from his makeshift shack. Nearby, he found a lakeside store with owned by a man named Harold and his wife Edna, and entered looking for new clothing. While inside, he murdered the old couple by slamming a meat cleaver into Harold’s chest, and stabbing a sewing needle into the back of Edna’s neck. With the couple dead, Jason stole a dark-green worker shirt with a white under-shirt, silvery-grey cargo work pants, and black boots. A short time after Jason fled the scene, he found the uninhabited lakefront property Higgins Haven where he would take refuge inside the nearby barn to nurse his wounds. Some time later, the owner Chris Higgins had returned to the property with her boyfriend Rick, and her friends, Vera, Shelly, two stoners named Chuck and Chili, and Debbie who is pregnant with her boyfriend Andy, to spend the weekend. Following them was a frightening homeless, religious zealot named Abel who showed them a severed eyeball and warns them to turn back. The group arrives at the ranch not knowing that Jason had holed up in the barn. In the Friday the 13th series, Jason Voorhees is a killer on the loose, mostly in camp sites but sometimes in outer space. That iconic hockey mask is worn to hide his disfigured face. Just don’t confuse him with Michael Myers, he really hates when that happens.